Two Cuban doctors have been evacuated from Lamu county. The medics were airlifted over the weekend. The rather abrupt evacuation comes just days after two of their colleagues were abducted from Mandera county by suspected Al Shabaab militants. The two, an orthopaedic surgeon and a physician had been deployed to Lamu by the government in July 2018. Their move was confirmed by County Health CEC Anne Gathoni on Monday. She said they were evacuated over the weekend but insisted it had nothing to do with insecurity. 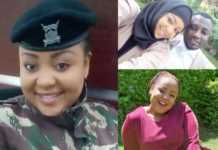 Gathoni said the two were simply being taken to undergo guidance and counselling as they were traumatised over what befell their colleagues in Mandera. A security source however divulged to the Star that the move was a security directive heavily hinged on the Mandera abduction. “They have been recalled by the government just like all others on border counties like Wajir and Garissa.,” said the source. Lamu County Commissioner Joseph Kanyiri also confirmed the move but added that it had nothing to do with the Mandera incident. “Our doctors were only recalled for briefing and debriefing. It’s a while they have been on the ground. I doubt if it has anything to do with Mandera which is miles away. It’s normal for field officers to go to Nairobi for consultations including ourselves from time to time. I don’t have many details at this time,” said Kanyiri. 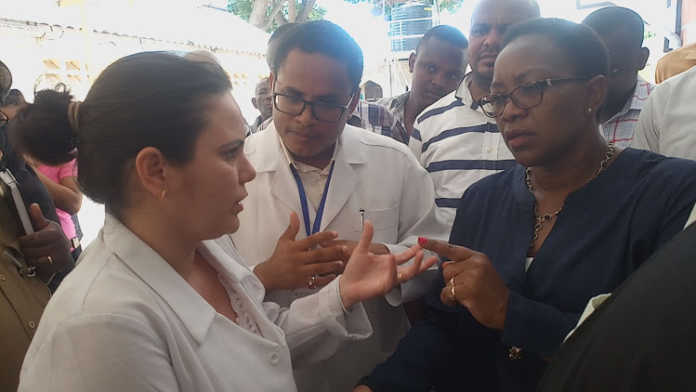 Residents have expressed shock and disappointment over the moving of the Cuban doctors saying the health docket would definitely suffer. Dr Assel Herera Correa, a general physician and Dr Landy Rodriguez, a surgeon were abducted in Mandera town last Friday, April 12 while on their way to work. So far the search for the medics is still going on. Mpasho is your go-to entertainment and lifestyle news website. We provide you with the latest breaking news, gossip and videos straight from the industry.